HC-HP / Auto-Pallet Changer and Indexing Table "Package"
A heavy duty 180° hydraulic rack & pinion driven indexing pallet changer, fitted with dual pallet carrier stations and aligned to an NC Indexing Table. 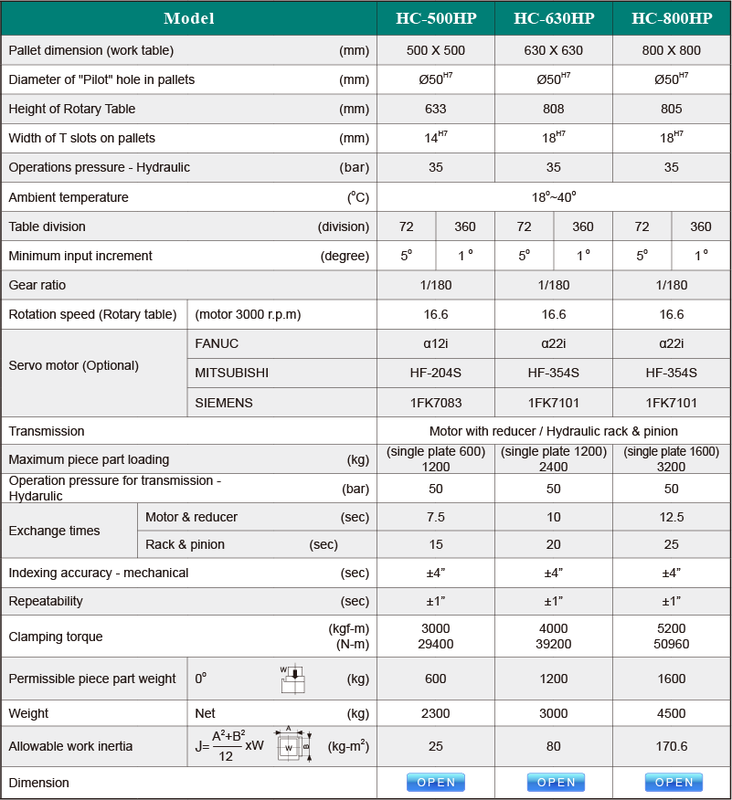 Work tables is rotated by a dual worm gear driven via a servo motor and fitted with auxiliary shot pins for pallet registration and stability. 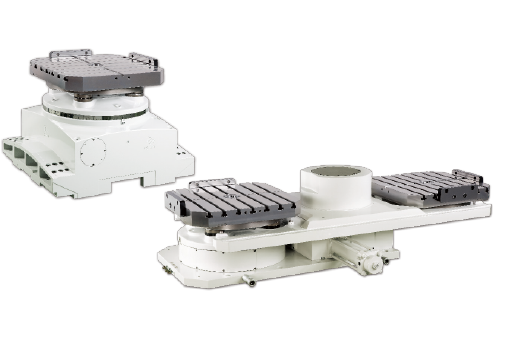 Heavy duty table clamping ensures rigidity and the accommodation of high machining loads. Pallets "matched" for easy installation.